On Wednesday, October 26, The GRAMMY Museum will present An Evening With Sting at the Museum’s Clive Davis Theater in Los Angeles. The evening, moderated by GRAMMY Museum Executive Director Bob Santelli, will feature a discussion surrounding Sting’s forthcoming solo album, 57th & 9th (out November 11), as well as an intimate acoustic performance. Tickets will go on sale Saturday, October 22 at 12NOON PST at AXS.com, with special pre-sale for American Express card holders and Sting.com fan club members beginning Thursday, October 20 at 10:30AM PST - UPDATE, THIS IS NOW SOLD OUT. 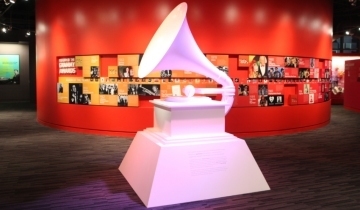 All proceeds will benefit the education initiatives of the GRAMMY Museum.